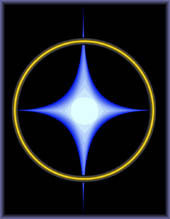 There is a natural direction, order and flow in the universe. But many people in today's world are severely out of balance. Healing is about restoring that flow, harmony, and balance within us. While it is natural to seek relief for our pain and discomfort, healing is most effective when it addresses the needs of both the body and spirit. What good is it if we relieve a pain, but our hearts remain empty? We are complex beings with a spiritual as well as a physical anatomy. Learning to manage our vibrations is the secret to managing our health and our lives. The fast pace of today's stress-filled world has created faster vibrations that wear on our organs and systems and drain us emotionally and mentally. Vibrational healing is personalized healing with frequencies calibrated to the individual's unique needs, bringing balance to the body, mind and spirit. Directional Healing is a systematic, multi-dimensional approach to healing the physical and inner bodies through vibration. It does not attempt to diagnose or treat specific illnesses, but rather removes the blocks that impede circulation and free-flowing internal communication. Energy is information the consciousness can use to improve the body's health and one's whole life experience. On a physical level, toxins, congestion, and inflammation may be cleared. This clearing is often experienced during a session as an internal heat, much in the same way that a body has a fever in the presence of pathogens. On an emotional or mental level, fears, stress, and old patterns may also be released and energetically leave the body through the energy gates as cold winds. As blockages are removed and tensions released, the individual may experience deep relaxation and harmony. The heart center opens and brings a feeling of love and peace. It is during this stage of the session that individuals often report seeing visions, hearing inner messages, or receiving deep personal insights. The body has an amazing capacity for self-healing and self-organization. When impediments are removed, the body can begin to rejuvenate and heal, often in miraculous ways. In addition to private sessions for individuals, Directional Healing sessions are also available for couples, families, and other types of groups that share a common goal or interest. Just as each individual has a unique vibratory rate, couples and family units have a consciousness formed by the combination of the individual energies that make up that group, and can become stressed and out of harmony. Just as in an individual session, in a group session vibrational adjustments are made through a process of inner attunement. Inner alignment not only improves energy and well-being, but creativity, inspiration, and a sense of direction may emerge. For more information, contact the Center for Directional Healing.